This season they come a bit more fluid, but there are still a few more structured around. You hit the layering trends and a huge cape certainly softens up my next lust, the over-the-knee boots, making it more wearable. Of course, they look great – for a while now (way longer than a year) fashionistas alike wear their jackets and coats over the shoulder – it’s a cape-like concept, no? Plus, it is the thing of superheroes. I don’t think I need to go any further. Although I got one the AW before last, I have already succumbed to a variation this season: a wrap. Got a gorgeous leopard print one from Oasis, for £28. So that is my first pick! 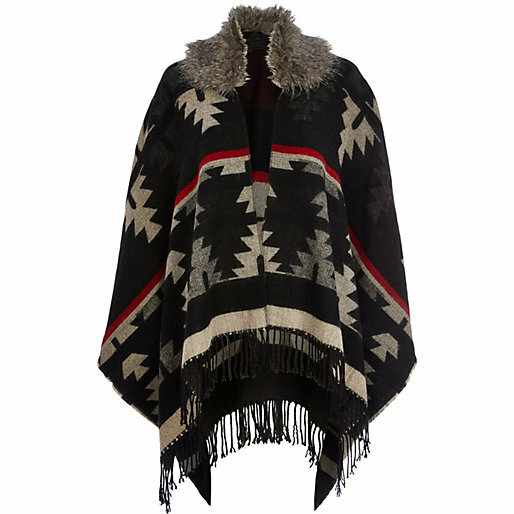 This is a different version of my leopard print one, the navajo print wrap from Oasis; it is also available black and paisley. 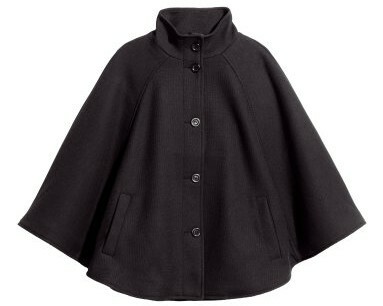 H&M has a cute, classic cape, buttoned up with stand-up collar, going for only £24.99. I actually saw it instore and it looks very lovely! 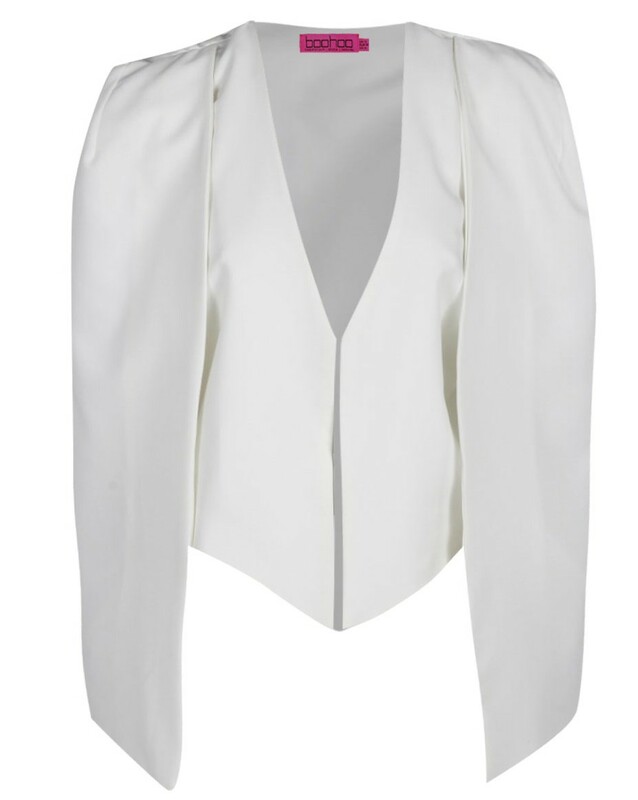 Tailored and sharp: Boohoo Carah cape is that version of a blazer that hangs on your shoulders, but a bit more comfy. Available in white and black, £30. Trendy AND comfortable? And warm? Really? Welcome the blanket wrap! 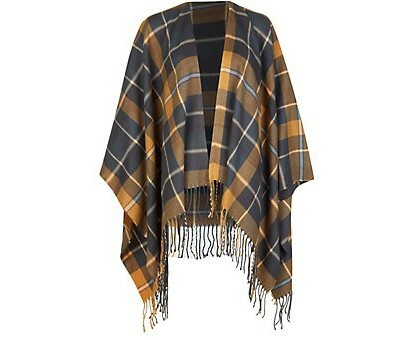 New Look has fantastic ones, mainly in tartan (red, green, yellow) for £19.99 – kill two trends with one affordable purchase! In the shops and on the site, they accessorise it with a belt for display, only holding the front. I like and am stealing the idea. 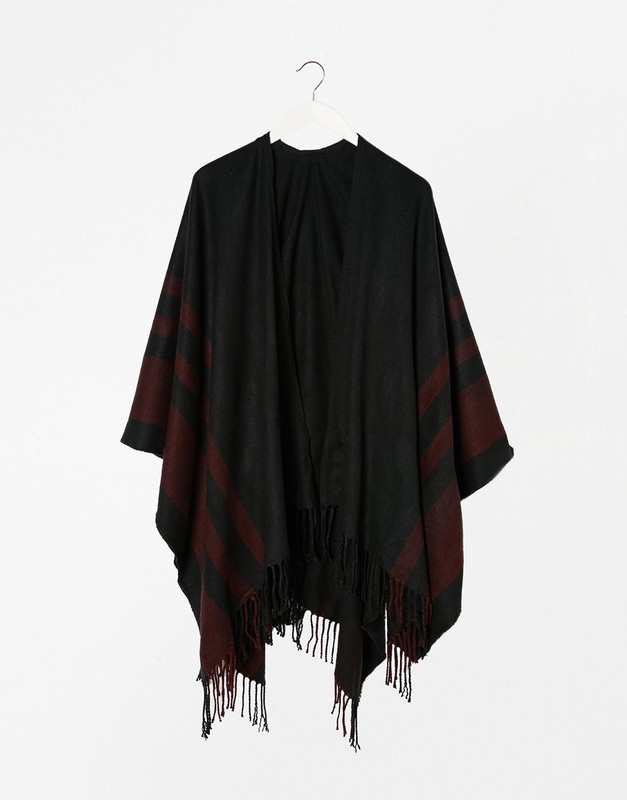 This ASOS burgundy cape is a fine knit with tassel fringing – black, with lovely burgundy stripes – they have a few variations – all black with different texture , beige and black and white – for £25. 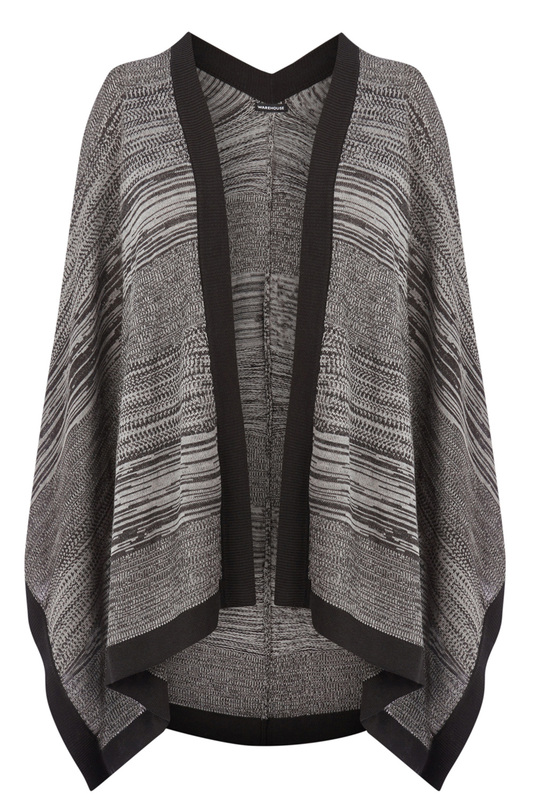 With a funky name – space dye cape – this two tone one from Warehouse does not disappoint with its soft knit and ribbed hem, at £35. 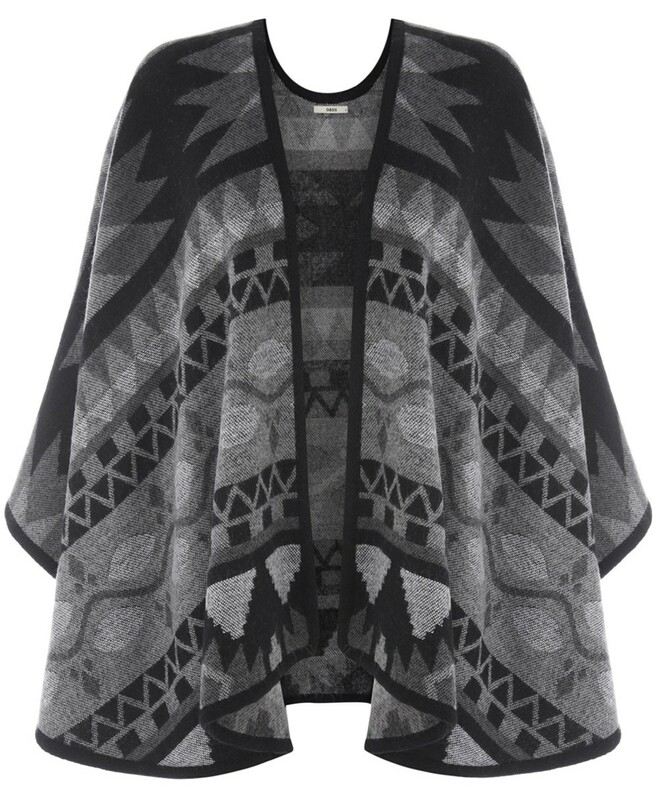 River Island adds a bit more: a fur collar to this aztec print cape, which costs £35. 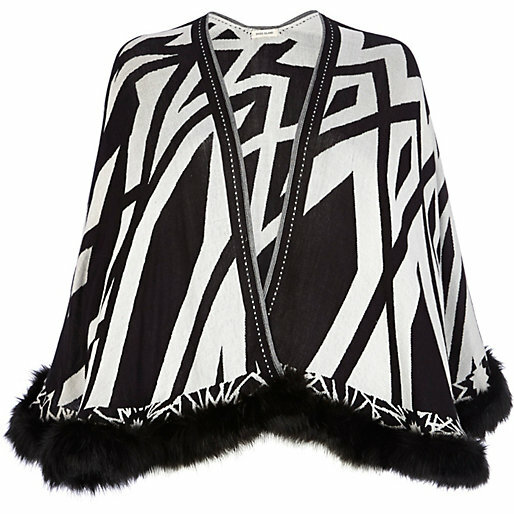 Also from River Island, there is this gorgeous black and white cape with geometric print and cute faux fur trim at the edges. Adorable and proced at £35. How do you eel about capes? Will you be sporting one soon?